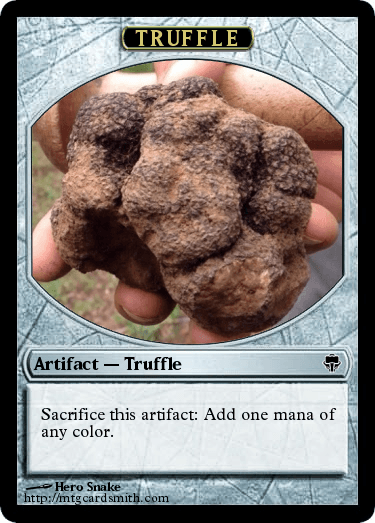 Check out this month's blog post! 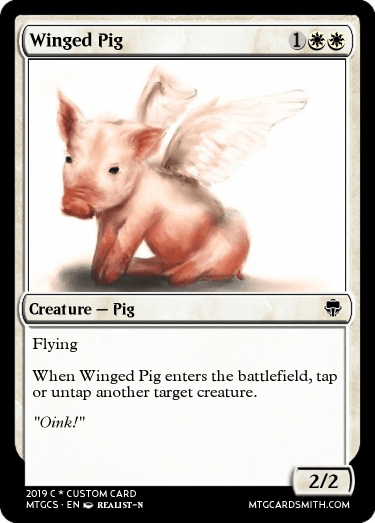 Check out the Featured Cardsmiths! 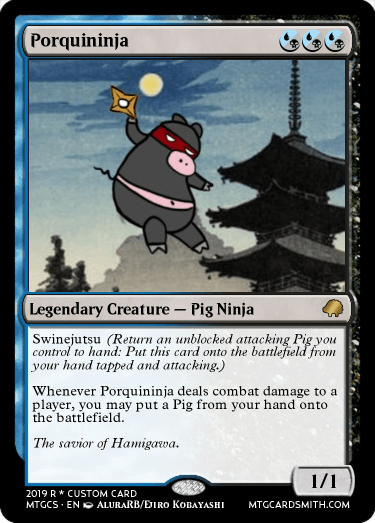 Then enter your Themed cards here to earn a fancy new Avatar and a possible Feature!! 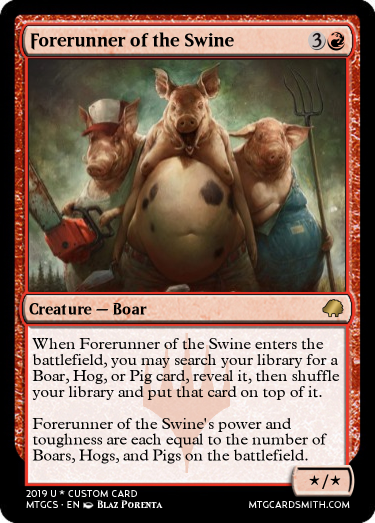 Looks like you went whole "hog" this year! 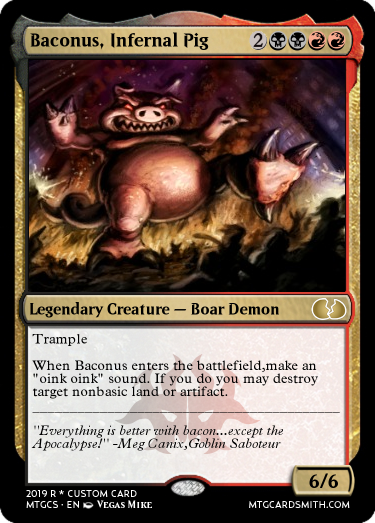 I didn't do anything special with this card... it's a rather boring one. 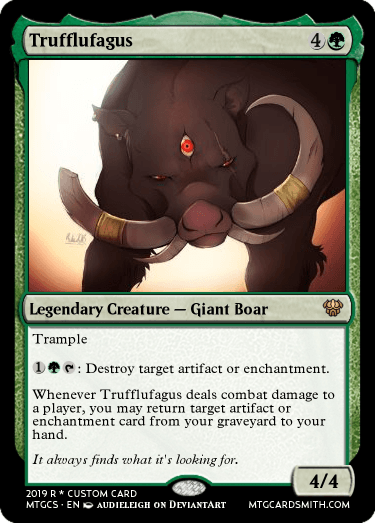 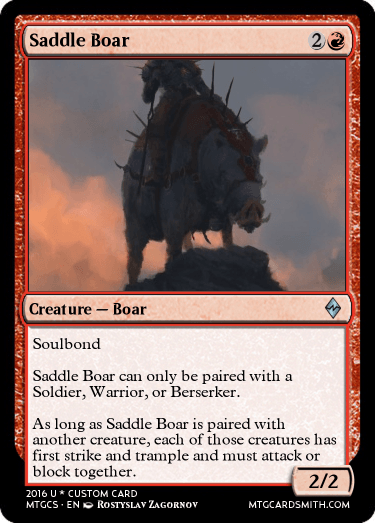 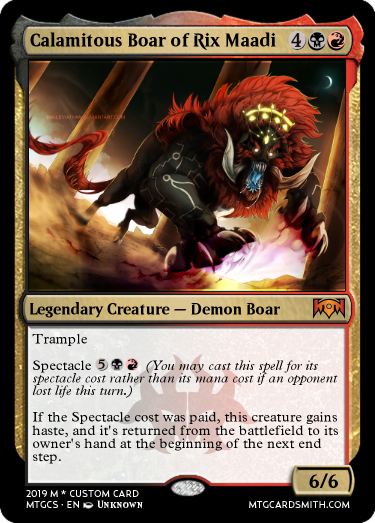 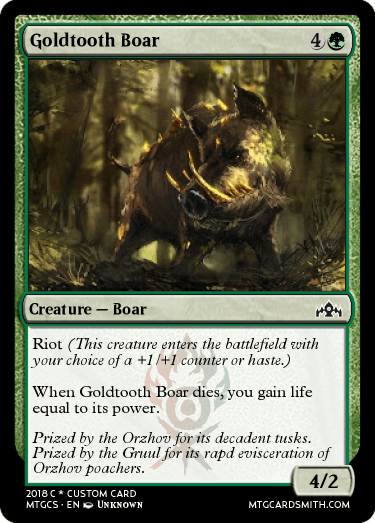 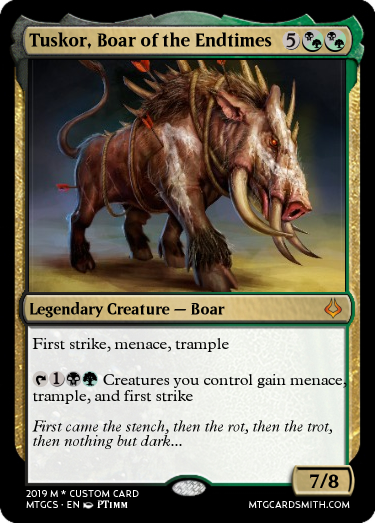 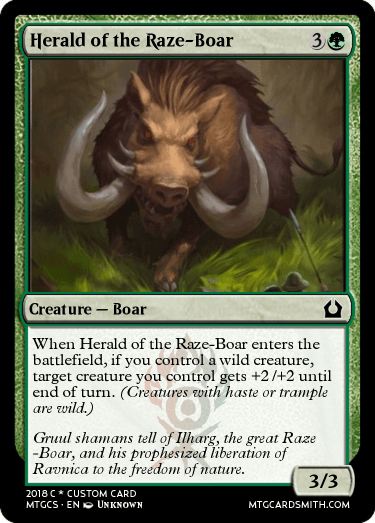 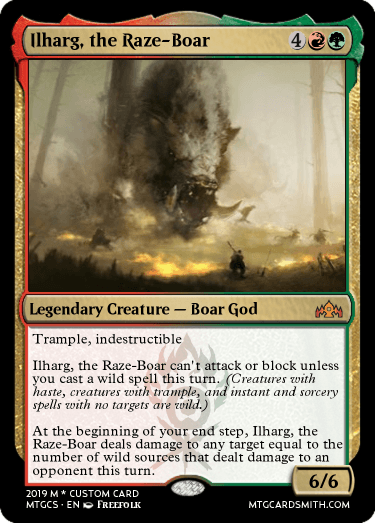 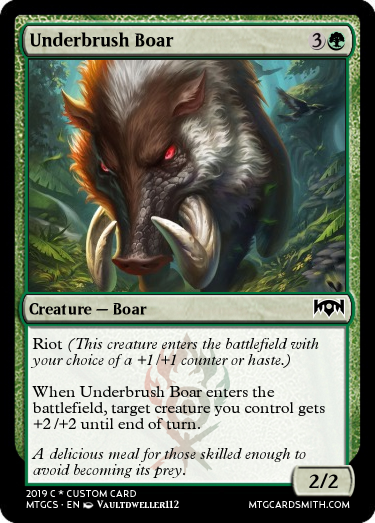 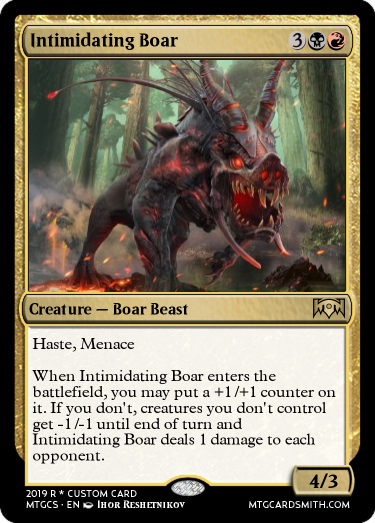 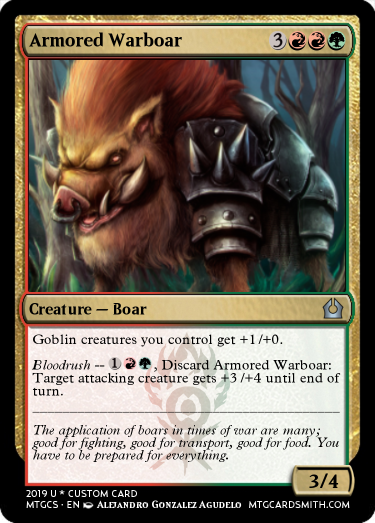 Did someone call for more Gruul boars? 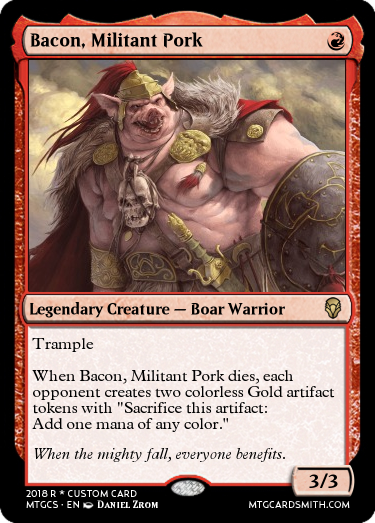 Thanks a million for the feature!!! 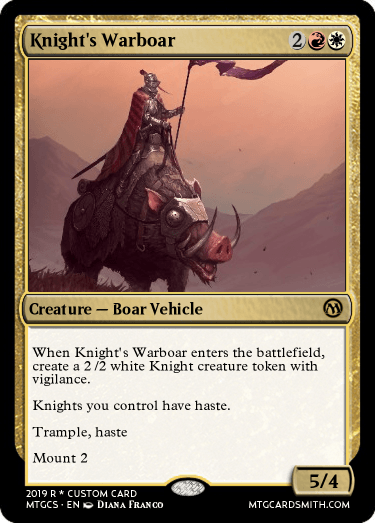 There isn't enough space for Mount reminder text, so it is here. 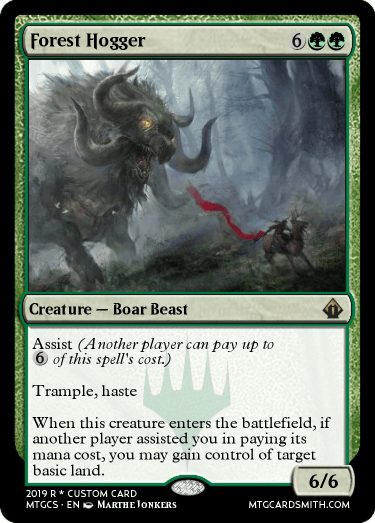 @HandCraftedd - Throughout February a handful of cards will show up in the Featured Spot on the Front Page of MTGCardsmith! 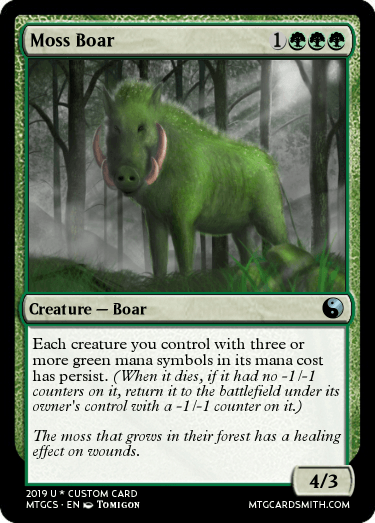 @Animist, although it might look weird, what you did is not grammatically correct. 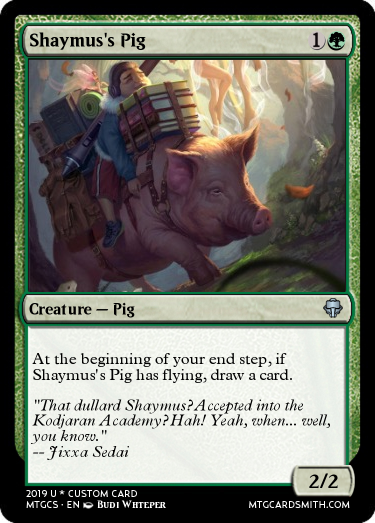 For possessive nouns, the ending is an apostrophe s. So it should be "Shaymus's Pig" rather than "Shaymus' Pig". 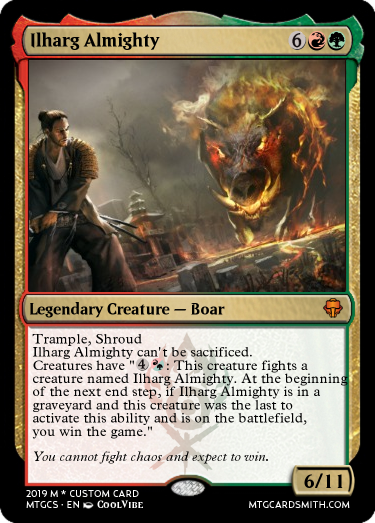 One is the property of multiple Shaymuses. 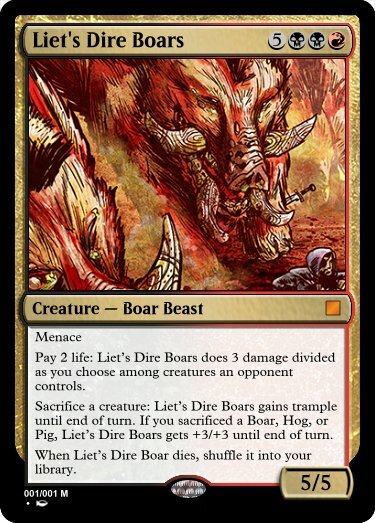 Here's my boar pig card. 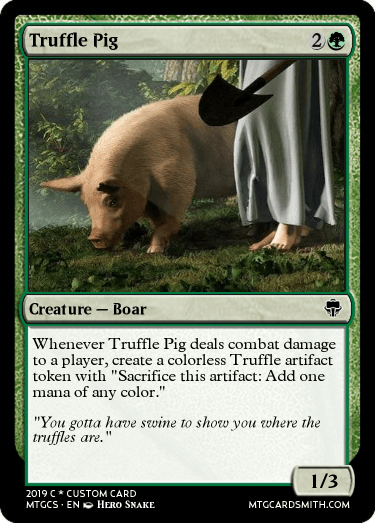 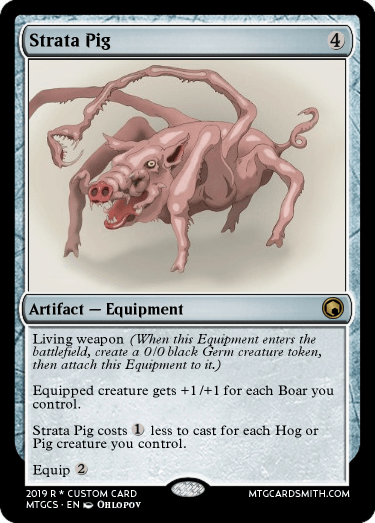 This card was thought of because of a joke that was started by @Sorinjace, with a little jingle Strata Scythe, Strata Scythe, does what ever a Strata Scythe does...., Well when this image came across my screen i automatically started singing the jingle, Strata Pig, Strata Pig does what ever a Strata Pig does.... 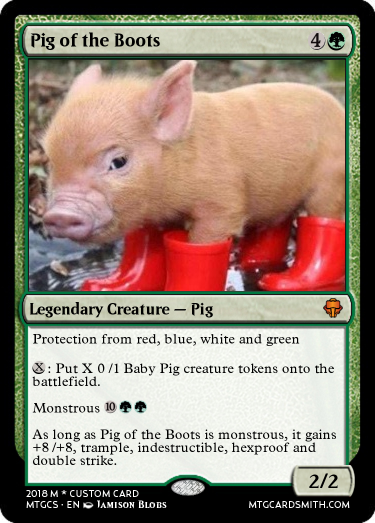 So i made this card. 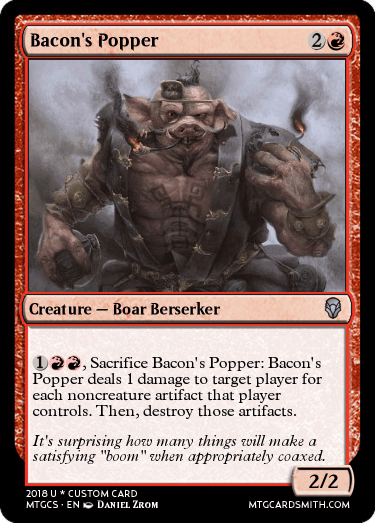 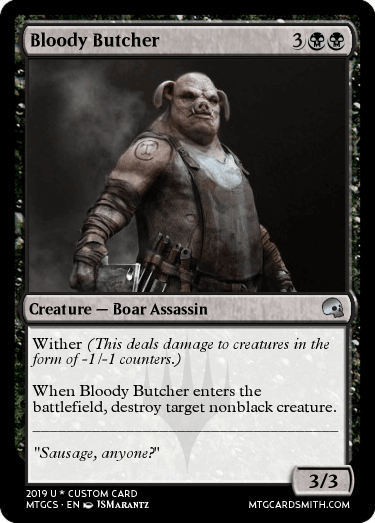 The forerunner of the pigs has finally dropped mwahahaha! 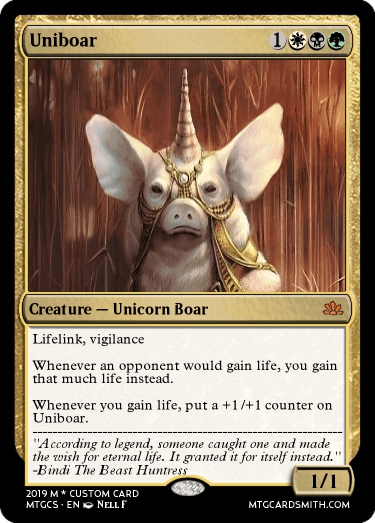 @Hergusbergus - The sentiment behind the Feature is to create cards on MTGCardsmith, so it's 100% likely we won't feature a card that has to have an external link.